80% never leave home without their phones in hand. They do everything on it, including shopping. Whatever your business is, an ever growing chunk of your target customers are using their mobile devices instead of computers to go online. 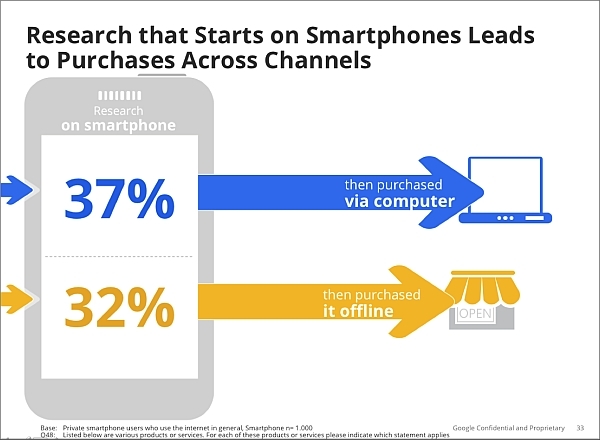 Here’s what you need to know about mobile internet users and their purchasing behavior. Most of the cellphones are already smartphones. While Android is the most common platform, and wealthier users prefer iPhones, your website should work equally well on all platforms. It is estimated that Google is generating $7 per year from each smartphone (and tablet). Google’s mobile ad revenues are expected to more than double from an estimated $2.5 billion last year to $5.8 billion in 2012.
eBay expects customers to buy and sell $8 billion of merchandise (~10% of all sales) in 2012 using their mobile (they’ve even seen a house being snapped up by someone using a mobile). PayPal expects to see $7 billion in mobile payment volume in 2012. More than 25% of smartphone users are making purchases online, Japan and US leading the pack. The number is almost twice as high for young consumers. According to Google’s “Our Mobile Planet: Global Smartphone Users” study, 20% of smartphone users purchase on a daily basis, while 14% do so a weekly basis. 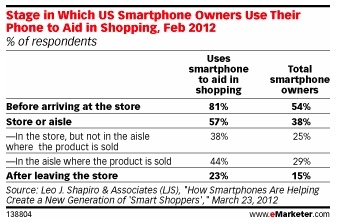 60% of US smartphone shoppers purchase products or services at least monthly. In fact, a majority of smartphone shoppers across the 6 countries studied (US, UK, France, Germany, Spain, and Japan) purchase on their device at least monthly. As you would expect, wealthier people shop over three times as much. 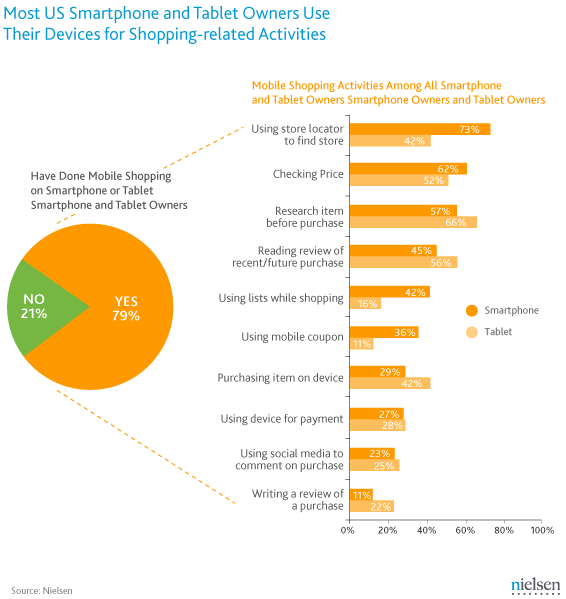 67% of wealthy smartphone users shop on their devices and 63% regularly buy goods or services. Half of them make purchases at least monthly, with almost 80% spending more than $100 on mobile phone transactions in the past year, and 25% spending in excess of $1,000. Event tickets (39%), gift cards (29%), and food and electronics (both 27%) are the top purchase categories. 80% of customers abandon a mobile site if they have a bad user experience. Smartphones and tablets aren’t small desktop computers – they’re new devices being used in entirely new ways. This also means that the mobile version of your website needs to be different. A mobile-friendly site will provide a smooth experience and can increase sales. Although consumers are ready and waiting with their mobile devices, only 20% of senior marketing executives in the UK say they have a mobile optimized site, 18% had a mobile app. I bet the number is closer to 2% when you take into account all businesses. People will want the mobile websites to load as fast as desktop sites (in 3 seconds or less) – even though the bulk of mobile users are on a 3G network that’s slower than broadband internet. So you need to cut the excess fat. A lot of people use smartphones while waiting (in line to get a dose of Starbucks, supermarket checkout line etc). They don’t want to wait while waiting. Whether you need a separate mobile version or responsive design is a debate to be had, but I’d say it depends on your business (or more precisely, on your customers and how they buy). 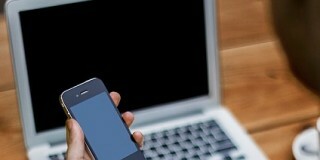 Here’s a good list of mobile site best practices. Market Strategies interviewed a national sample of 2,000 consumers aged 18 to 85 between October 3 and October 11, 2011. They found that men are more likely than women to make purchases with their smartphone, and they are more likely to buy services. Women, on the other hand, are more likely to buy physical goods. 44% of men in the study have made purchases with their smartphones, compared to 37% of women. A new report from Adobe Digital Marketing Insights suggests that tablet users spend over 50% more per purchase at online retailers when compared with smartphone visitors, and 20% more when compared with traditional laptop and desktop visitors. Another study noticed a similar trend. Tablet visitors were also nearly three times more likely to buy products and services online than smartphone visitors and were nearly as likely to purchase as desktop/laptop visitors. The findings are based on roughly 16.2 billion online transactions from 150 top U.S. retailers in 2011. 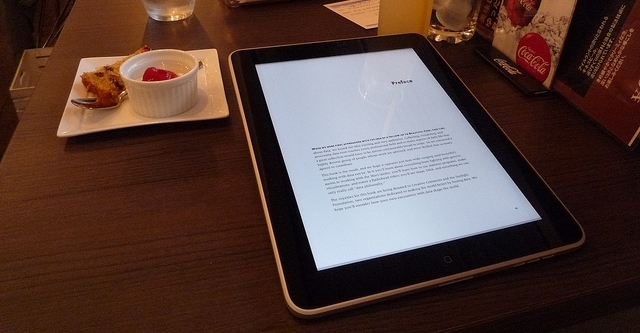 Austin Bankhead, director of Adobe Digital Marketing Insights, suggests that when making purchases, the large tablet screens are easier to use than smartphone screens, and he also noted that the high price point of most tablets means that owners may be more affluent than other visitors. Most tablet owners are men between the ages of 18 and 34. “Outside research indicates that men are often earlier adopters of technology,” Bankhead said. 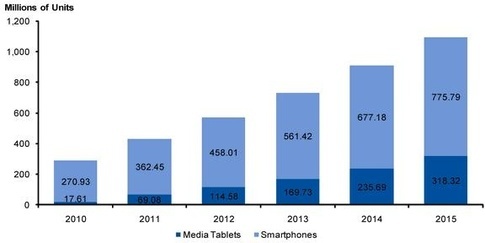 While this is significant, the number of tablet owners is still relatively small – just around 54 million consumers, but it’s expected to grow to 90 million by 2014. Tablet owners are the most active local searchers with 64 percent using their devices at least weekly for local searches and 86 percent making a purchase from their most recent tablet-based local search, according to a report from Localeze and 15miles. The reason might be that people are more likely to keep tablets at a fixed location (home) due to bigger size compared to smartphones. Haven’t we all done it? We go to a store, see a product we consider purchasing and then go online (usually Amazon) to read the reviews? Offline users used to be blind, but thanks to smartphones they can see. If you sell crap products, they will know. In-store salespeople are no match for online reviews and comments. In fact, 67% of men and 54% of women said they would reach for their mobile phone before asking a salesperson for help. 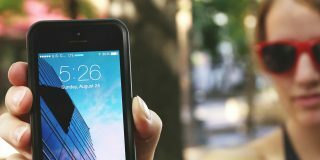 Research says that over 79% of smartphone consumers use their phones to help with shopping, from comparing prices, to finding more product info, to locating a retailer. Once they’re in the store, what do they do? and 11% pay for a purchase at the register. Women are more socially engaged in the in-store shopping experience than men. 78 percent of smartphone owners have visited a brick-and-mortar store with the intent to buy, and instead bought the item online. The reason: inadequate information, overwhelming choice and poor assistance choosing products. On average 37% of users end up purchasing online and 32% prefer to purchase in-store after having conducted research on a product or service on their smartphones. As you can see from the graph, most of the research is done prior to arriving at the store. What golden opportunity does this give us? Offer extra incentives or coupons to mobile users to get them into your store. 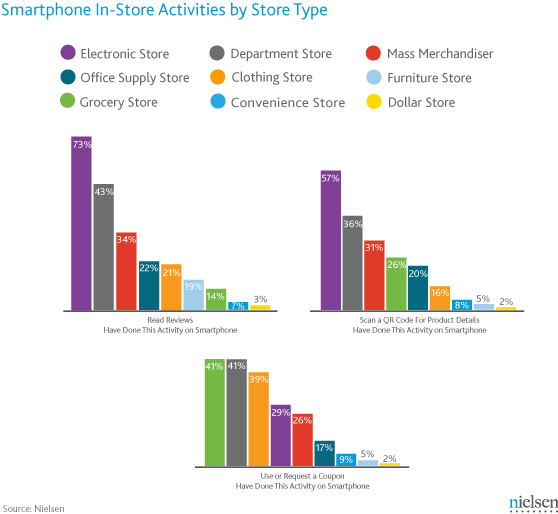 A study by Nielsen indicates that consumers use their smartphones differently depending on the type of store. For more complicated stores people spend more time reading reviews. In case of simpler products like food, they’re more interested in coupons. Mobile shoppers appreciate a good deal. 82 percent of 25- to 34-year-old shoppers say they would switch brands if they received a mobile offer for a competing product while in a store. According to a nationwide survey of more than 1,000 shoppers, almost all (90%) young smartphone users are interested in real-time mobile promotions delivered to their smartphones while shopping in a store. 15% of smartphone owners report having redeemed a mobile coupon, with women being more likely than men to do it (18% compared to 12%). According to this study, email is by far the most effective mobile marketing trigger of purchases. 55% of smartphone users have made at least one purchase after receiving a mobile promotional email. Receiving the message via smartphone doesn’t mean that they’re going to complete the purchase using it. 43% of actually did it later via computer. Another 35% have done so in person, slightly more than the 34% who have done so via smartphone browser. People might prefer completing purchases on a computer due to habits and security concerns. Consumers still think of PCs/laptops as secure devices. Only 11% of PC users hesitated to part with money, fill in their personal details and purchase goods online whereas the figure for mobile phone users was 37%. 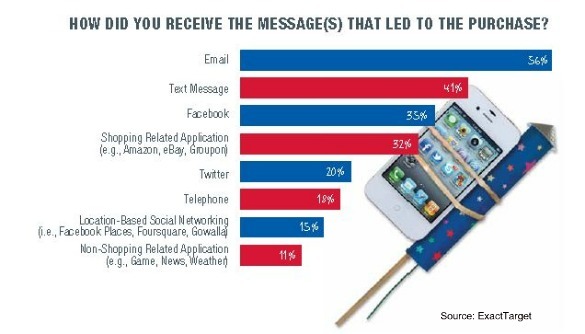 So if you want to send a marketing message out to mobile users, do it via email or text. It still pays to focus on growing your email list, but you might want to take a serious look at getting started with text message marketing. 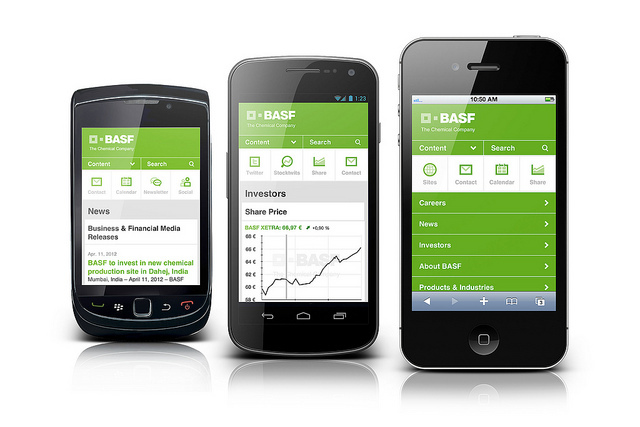 Search matters on mobile devices too. Mobile users do a lot of research, and 61% of smartphone users only look at the first page of search results. This makes SEO even more important, especially local SEO. 89% report noticing mobile ads. You need to be found and your products need reviews. Thank you very much Peep for such a nice article. Got lot of useful information through it. would like to know the cost of optimizing a website? Thanks for sharing the info. Great write and going to link my next article to this.